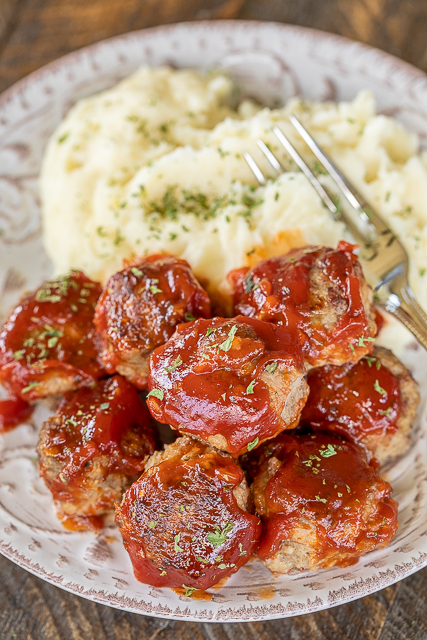 Meatloaf Meatballs - super delicious! Great at a meal or a party appetizer. Ground beef, oatmeal, milk, onion, salt, pepper, ketchup, sugar, vinegar, hot sauce and Worcestershire. I always double the recipe! 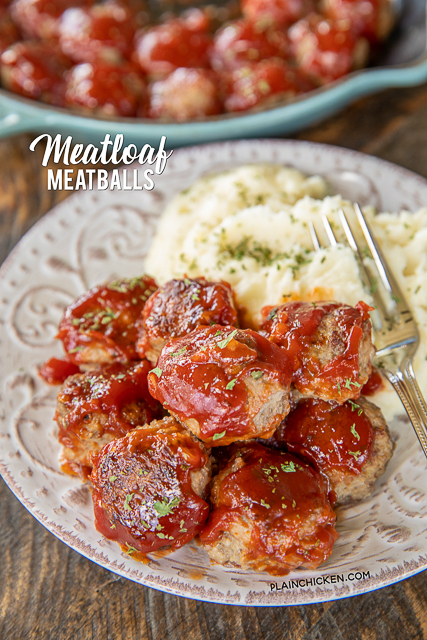 The whole family LOVES these yummy meatballs! How do you feel about meatloaf? Growing up, I hated it. I still don't love it now. I never ever order it when we go out to eat. 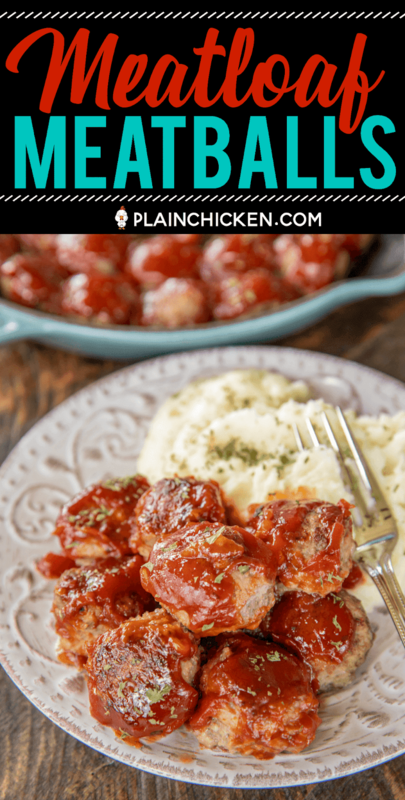 SO, imagine my surprise when I fell in love with these yummy Meatloaf Meatballs! OMG! SO good! This is my go-to meatloaf recipe. They are great for dinner or you could even serve them as an appetizer at a party. I adapted this recipe from The Pioneer Woman. I love all her simple recipes. She is one of the inspirations for my own food blog!! 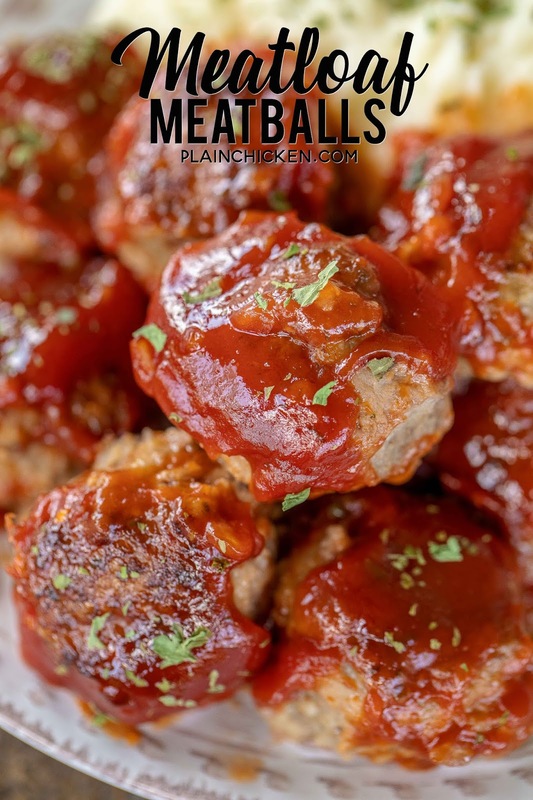 These Meatloaf Meatballs are very quick and easy to make. The meat mixture is very soft. You need to refrigerate or freeze the meatballs for a few minutes before browning and baking. I got 26 medium meatballs. You may get a few more or a few less depending on how big you make your meatballs. 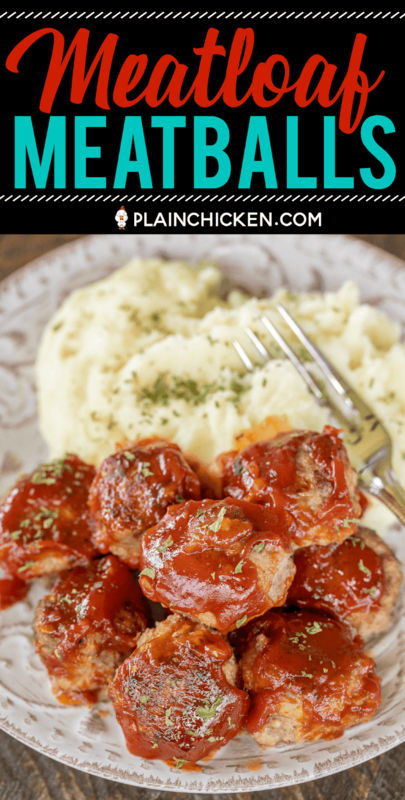 We served these yummy Meatloaf Meatballs with some mashed potatoes. They would also be good with rice, mac & cheese, noodles or on some crusty bread for a Meatloaf Meatball Sub. YUM! 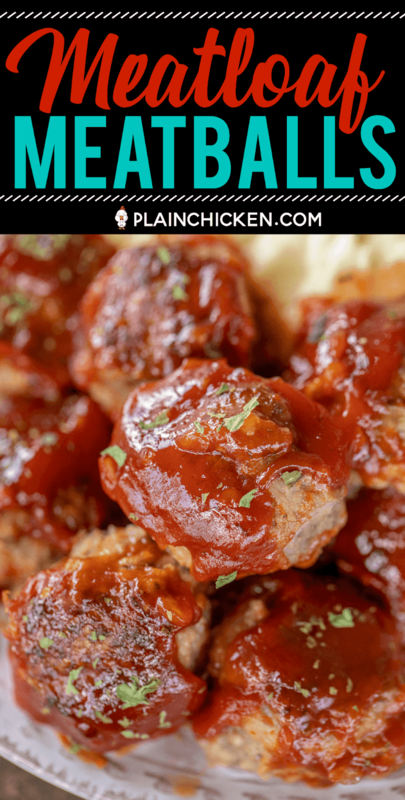 Combine all meatball ingredients. 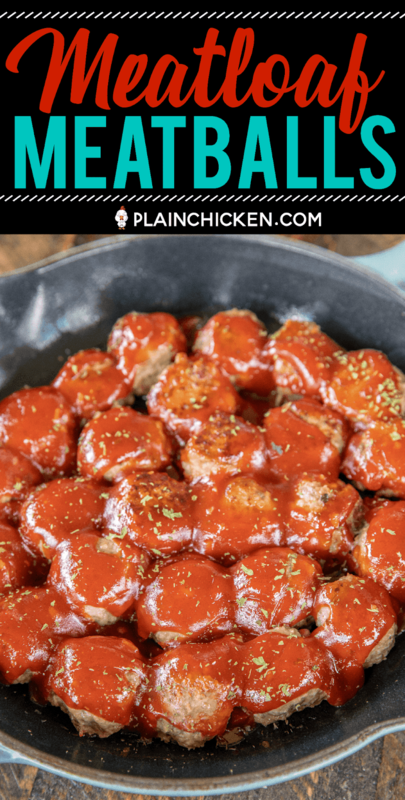 Roll into medium-small balls and place on a cookie sheet. Place cookie sheet in freezer for 5 or 10 minutes. In a large skillet, heat a tablespoon of canola oil. Brown meatballs in canola oil until just brown. 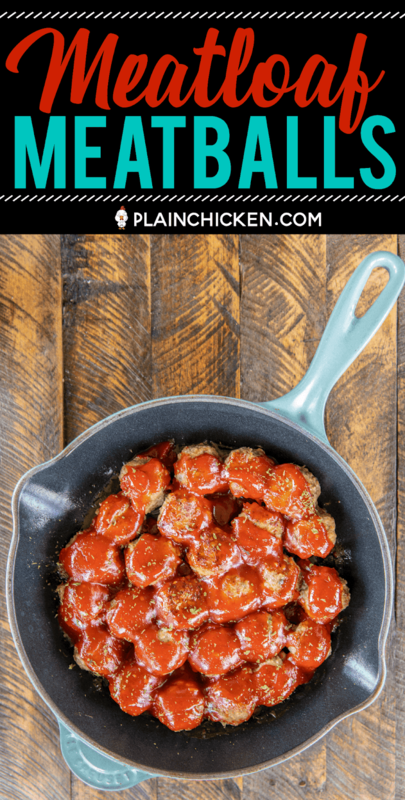 Place meatballs into a 9x13-inch baking dish or oven-proof skillet. Combine all sauce ingredients. 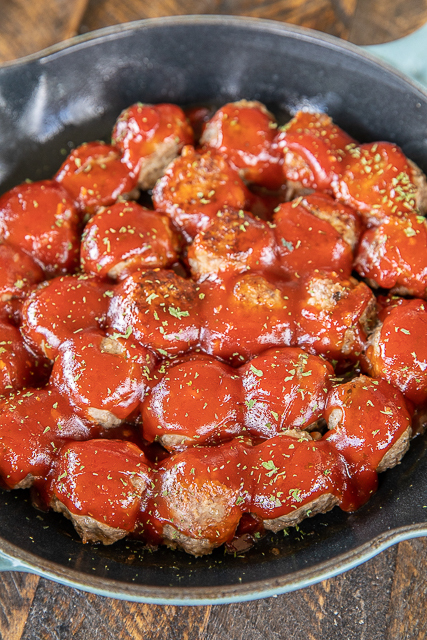 Pour over meatballs and bake for 30 minutes. Serve with egg noodles, mashed potatoes, or crusty French bread. I've been meaning to try these, I love the sound of them. Looks great! Kind of like meat loaf balls! I like it.